Teaching IP advocacy and serving the public interest. 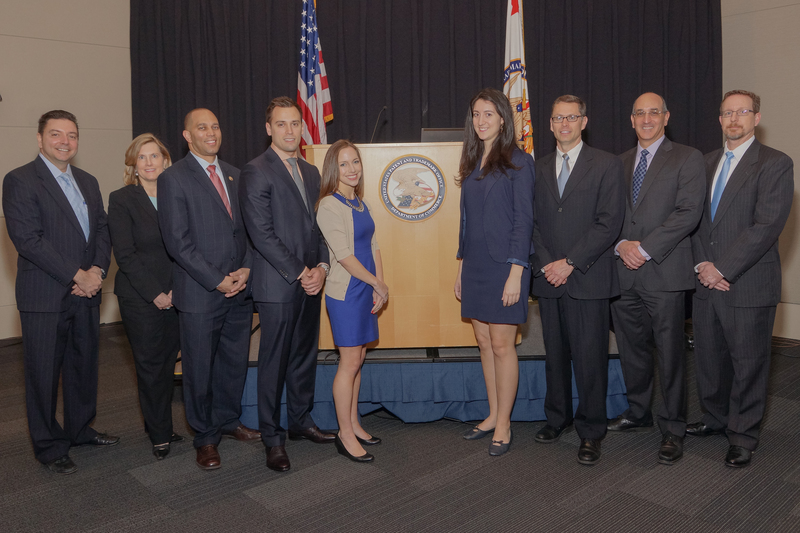 On April 15, Clinic student attorneys Charles Frank, Cori Stedman, Caile Morris, Alexandra El-Bayeh, Mark Patrick, and Jessica Rickman attended the Law School Clinic Certification Program Visit to the United States Patent and Trademark Office (USPTO). Representatives of several participating clinics from around the country were in attendance as well. The day was quite eventful, as participants heard from Rep. Hakeem Jeffries (D-NY), who cosponsored a piece of legislation in 2014 that eliminated the program’s pilot status, making it more accessible to all ABA-accredited law schools. We then heard from Thomas Krause, Deputy Solicitor for Intellectual Property Law at the USPTO, who gave the Clinic a shout out for its work filing amicus briefs in Supreme Court cases, in response to a question from a professor at another law school who asked whether clinics have a role in the amicus process. Attendees then broke out into round table discussions with PTAB judges, trademark examining attorneys, patent examiners, and others. Following lunch, we were fortunate to have a rare glimpse into a live TTAB opposition hearing, Caterpillar Inc. v. Rodney C. Kelly. The afternoon wrapped up with presentations from a TTAB judge, the Deputy Commissioner for Patent Examination Policy, the Administrator for Trademark Policy and Procedure, and a PTAB judge. 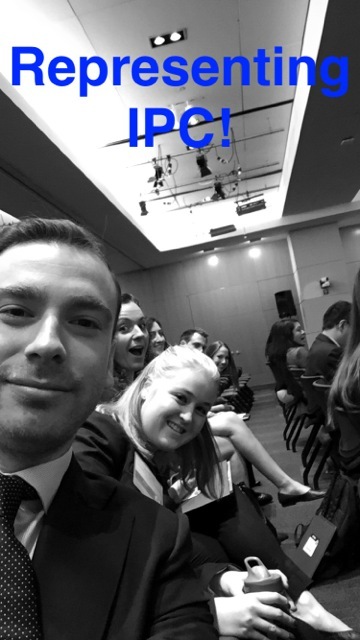 All in all, the student attorneys truly enjoyed themselves and were proud to represent the IP Clinic! This entry was posted in Clinic News and tagged American University Washington College of Law, Department of Commerce, ip clinic, PTO, trademark. Bookmark the permalink.